Schneider Optics, Original acclaimed German lens maker Schneider Kreuznach, represents a long history of extraordinary lenses and filters for many industries including still photography, television broadcasting, cinematography and digital projection. It’s no wonder Schneider filters for motion pictures and digital cinematography are the finest in the industry. Diamond cut from crystal-clear, water-white optical glass, Schneider filters are ground and polished to a precise flatness and plane-parallelism (exact parallel relationship between front and back filter surfaces). Then, to ensure perfection, this is verified by a laser interferometer. Schneider filters are then checked with a densitometer for consistent density, and tested with a spectrophotometer for proper light transmission. It’s due to this ultra-high consistency, that allows cinematographers to swap like filters mid-shoot with no discernible variation in color or effect. What’s more, the unprecedented purity, color saturation and repeatability of Schneider filters virtually eliminate the need for lab color timing correction. The common perception among photographers and cinematographer’s is that filters should not be used in front of long length lenses, due to the critically short depth of field of these lenses. This belief is often confirmed when poorly made glass or “plastic-resin” filters are placed in front of a long lens, and the degradation of the image is visible simply by looking through the viewfinder. This degradation is caused by poor quality control, low-quality glass and poor glass grinding and polishing techniques used in the manufacture of such filters. Schneider filters have no such problems, and can be used in front of even the longest lens. 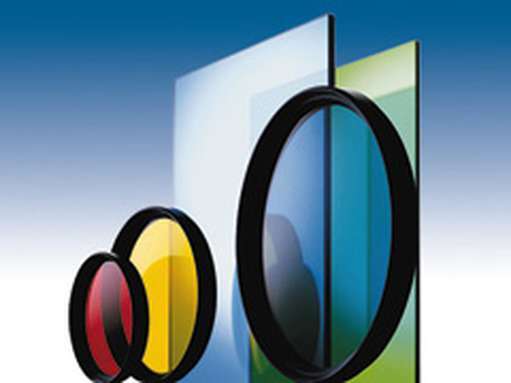 Diamond-cut from high-quality optical glass, then ground and polished to precise lens-making standards, Schneider filters offer unsurpassed clarity, light transmission and color saturation with absolutely no visible compromise of image quality. Even when stacked, they are the clear choice for use with any lens. Schneider filters stand up to the most rigorous demands on set or location. Many feature Schneider’s specially formulated hard anti-reflective (AR) coating to resist flaking, peeling and scratching. This proprietary coating also reduces light loss and flare to less than 1% per surface, compared to untreated glass that has a light loss of 4% per surface. Schneider screw-on filters feature virtually jam-proof brass precision mounting rings, while unmounted Schneider laminated filters are protected against de-lamination and edge-chipping by Schneider’s unique Edge Seal, which also reduces edge reflection and edge flare. Neutral Density : Schneider Neutral Density (ND) filters are designed to control exposure or depth of field under various lighting conditions without affecting color or contrast. Unlike other brands, Schneider Absorptive ND filters are a neutral gray, achieved with laboratory precision. True-Pol Polarizing Filters: This is by far the most effective polarizer for motion picture and television cameras. Having an extinction ratio of ER 374, the Schneider True-Pol is 12- times more effective than other polarizing filters, and is unmatched in its ability to reduce glare and unwanted reflections, saturate colors, deepen blue skies, improve contrast, and penetrate haze. True-Pol Polarizing filters enable you to achieve a level of optical performance previously unavailable to cinematographers. One-Stop Pol: While the standard True-Pol is 1-3/5 stops, the One-Stop Linear Polarizer significantly reduces reflections while reducing available light by just one stop. Circular True-Pol: To prevent viewfinder black-out on cameras which employ polarizing elements in the beamsplitters of the viewing system, like Arriflex 435 and MovieCam Compact. 81-Two and 81-One: Born from the 81-A, both filters are designed to add warmth to skin tones and reduce excessive blue in outdoor open shade. The 81-Two is used to accentuate skin tones for a warmer appearance. For a subject with darker skin tones, the 81-One is more appropriate. Ideal for romantic close-ups, the 81 Series can be combined with softening filters. DigiCon: Raises black levels while lowering highlights. Combined with in camera gamma settings and / or post production, a higher dynamic range can be recorded. The result is more detail in highlight and shadow areas with no loss of resolution or softening of the image. Filter produces no color shift and highlights are clean and halo-free. Black Frost: A fine “black” mist (similar to Black SupaFrost & Black Promist). Subtle softening of skin texture. Flairs highlights and tones down contrast while holding black level. Removes video. Classic Soft: Contains hundreds of Micro-Lenslets evenly distributed throughout the filter. Classic Softs create a unique softening effect that helps smooth-out blemishes and minimize wrinkles. The stronger grades (1 & 2) help add mood to scene by causing highlights to glow softly. White Frost: A fine “white” mist (similar to White SupaFrost & White Promist). Lowers contrast, flairs highlights and tones down colors, while creating a subtle dream-like effect. LowCon-2000: Lowers contrast and spreads light into shadow areas. Twilight Sunset : Works with a wide range of focal lengths to enhance an existing sunset or create the illusion of a sunset during twilight, where none exists. Classic Sunset: Works with a wide range of focal lengths to enhance an existing sunset or create the illusion of an orange flame sunset where none exists. Amber: Can simulate the effect of candlelight or a firelit scene. Antique Suede: Reduces greenish tint in complexion shadows, while holding skintones nicely with added warmth. Gold: For an overall warming effect. Portrays healthy skintones & accentuates foliage. Sahara Gold: Especially useful in creating a rich warm scene for an old Technicolor look. This filter approximates 3/4 the color value of an 85 and can also replace an 81EF for a cool look. This filter holds skin tone better than an 81EF. Golden Sepia: For old film look with the addition of a warm golden tone. Chocolate: Natural warming effect. Helps smooth transition between black and white complexions. Tobacco: For an old west period look. Paradise Blue: Adds vibrant color to washed out sky. Sapphire Blue: Adds indigo blue color. Storm Blue: Adds grey green color to ocean and sky for a stormy effect. Coral Filters: Considered to be both color-correction and color-effects filters, Schneider Coral filters are used to warm cool lighting situations such as overcast days and scenes in open shade. Different strengths of Schneider Coral filters can be used during filming to achieve the same degree of apparent warmth under different light conditions. This makes them particularly useful for maintaining a consistent color balance throughout an entire day of shooting, or to create a sunset or dawn effect during the day. Schneider Coral filters can be used to under-correct a scene in order to create an excessively blue look for added drama, and can also be used as warming filters to create other dramatic effects. Enhancing Filter: Improves the color saturation of reds, oranges, and earth-tone colors such as rust, brown and amber . Maui Brown: Enhances browns, orange, and foliage, while holding the overall white level. Goodfor skin tones. Improves color contrast in flat lighting conditions.